Messiah in the Passover — Mark your calendar! Sunday, March 29th, 6:00 p.m.
Dr. Michael Hertz will present “Messiah in the Passover” a demonstration of the Jewish Passover using traditional elements. Dr. Hertz will explain the elements, what each represents, and how the passover is fulfilled though Jesus’ death at Calvary. We will also celebrate the sacrament of the Lord’s Supper that evening, providing a vivid illustration of the connection between Passover and Communion. This is a unique opportunity for you to deepen your understanding and experience of Christ and the sacrament. Dr. Michael Herts was raised in a conservative Jewish home on Long Island, New York. In his early years he faithfully attended Temple and Hebrew School. He became a Bar Mitzvah soon after his 13th birthday. It wasn’t until high school that he was first introduced to the good news about the Messiah in a way that seemed real. That spurred him on to seek the truth about God. In addition to meeting with a local Rabbi, he also began studying prophesies about the Messiah in the Hebrew Scriptures. After two years of searching, he felt burdened to commit his life to God, but questioned whether Jesus is the Messiah. In the spring of 1981, alone in his room, he got down on his knees to pray. He picked a verse that was both in the Hebrew Scriptures and the New Testament, thinking that way it would be safe. He prayed, “Lord, You said, ‘Seek and you shall find’ (Jeremiah 29:13; Matthew 7:7) and if anyone has been seeking, it’s been me. Please tell me who You are!” Suddenly, all the doubts and confusion he felt disappeared. He knew that Jesus is the Messiah. He knew what he needed to do, repent and ask Jesus into his heart as his Lord and Savior. At that point, Dr. Herts began a personal relationship with the living God, the God of his forefathers. Contrary to what his grandmother thought, he did not become a Gentile, but instead gained a deeper appreciation of what it means to really be Jewish. To worship and serve the God of Israel, and accept His Messiah, His plan of atonement and reconciliation suddenly made perfect sense. As Dr. Herts grew in his faith, he gained a deeper understanding of the connection between the older and newer covenants. He came to understand the importance of being a testimony to God’s faithfulness to His people by maintaining his Jewish identity, showing that he can be Jewish and believe in Jesus. Over the years his heart became even more burdened with reaching Jewish people with the good news of Messiah. Over the years he has served in leadership positions in various congregational settings. He also had the opportunity to preach and share about the Passover in various congregations. In 2005 he brought a team together to plant B’nai Avraham Messianic Fellowship in Hampton, Virginia. He received his ordination in 2009. 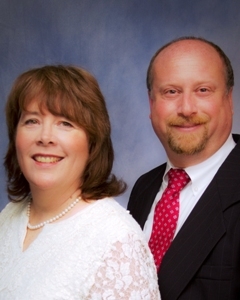 In July 2010 he joined Chosen People Ministries serving God as a missionary. Dr. Herts is the husband of a retired United States Air Force Colonel and practicing physician and the father of three wonderful children. He earned a Doctor of Psychology in Clinical Psychology (Psy.D. ), and a Master of Education (M.Ed. ).